If you have been toying with the idea of getting a bike stand that can hold two bikes conveniently, here is just the thing for you. At first glance the ‘Racor Bike Rack Pro PLB-2R’ might seem a little voluminous, but your first impression is sure to alter after you get it installed. 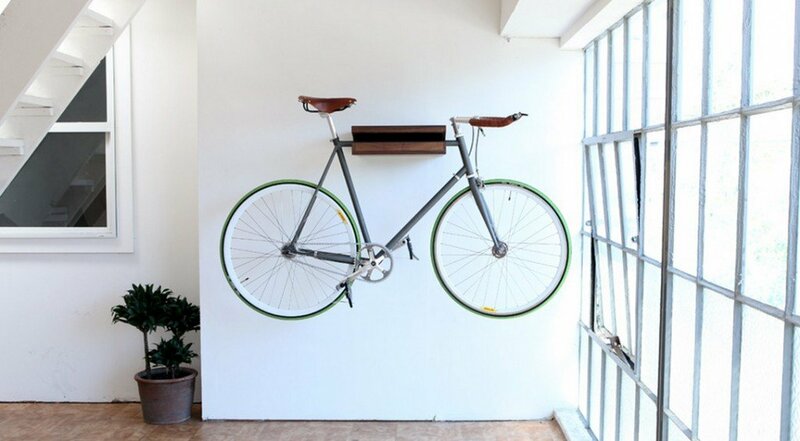 This uniquely shaped bike stand can be mounted inside your garage without cluttering the floor space. An added plus is its sturdy storage hook that can hold all types of tools and equipments saving ample space for your garage and apartment. What Features To Check Out When Buying A Gravity Withstanding Bike Stand? Before you invest your hard-earned money into a free-standing bike holder, it would definitely help to keep a few points in mind about the usage and installation of such a stand. The central post of the stand comes in three sections. The base is formed by the curved ‘T’ structure and the other two vertical tubes constitute the rest of the sections. These main sections must be fitted on compactly. Although this might take you some time and patience, a well-fitted 2-bike stand is stable from within and well serves your purpose. There are slots on the either side of the vertical tube. You have to knock the four arms for holding the two bikes into these slots. At the end of each arm there are cradles that can be rotated as per your requirements. Adjust these to adapt to the angle of the top tube before placing the bikes. Do not feel awkward if the Racor bike rack sways slightly when you keep or replace a bike. Remember that the base is wide enough not to cause the whole rack to collapse provided that you put it up against a wall. Why Should You Opt For ‘Racor Bike Rack Pro PLB-2R’? The freestanding structure of the Racor bike rack effectively holds two different sized bicycles. You can position and adjust this light-weight, vinyl-coated bike stand comfortably anywhere in your garage and home. You also get an extra wall mounting kit for optional usage. Independent adjustent arms – The adjustable arms of this two-bike stand offer you enough flexibility to mould it according to your specific needs. 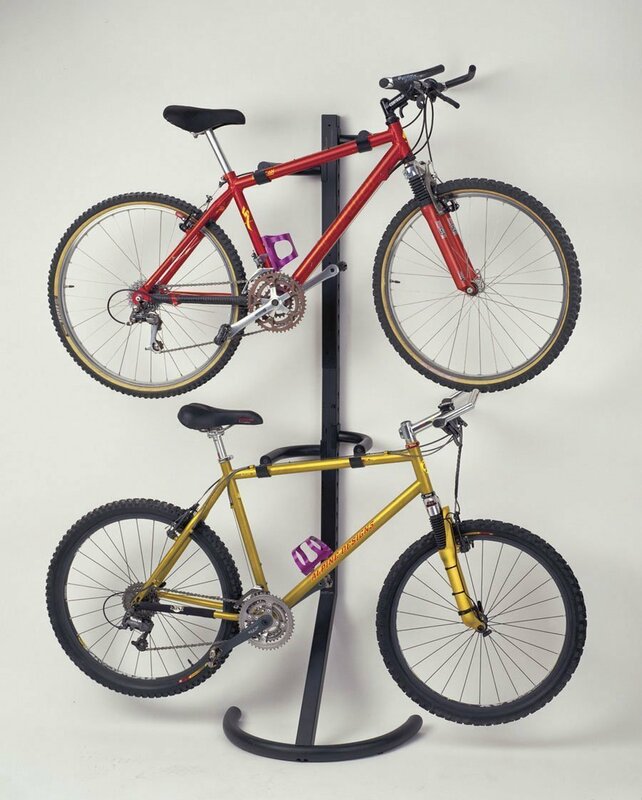 This feature allows you to place bikes of any shape and size on this stand with much ease. Two-bike freestanding rack stand – The best thing about this stand is that you can install it just about anywhere you please. Although having a wall support at the back is preferable, it is nowhere compulsory. Even with two bikes placed on it, it does not yield to the gravitational pull and fall head down. The special gravity resist engineering of this stand saves your precious bikes from chance falls. It is safe for use inside home space with children and your pets around. Vinyl-coated cradles – This bike stand has been specially crafted with vinyl-coated cradles on the top tube to keep your bike safe from general indentation and scratches. You can mount your bikes easily on it without using any screws, bolts or clamps. Sturdy and light weight body – The Racor bike rack is extremely light and sturdy. It weighs just about 20 pounds and you can position it anywhere as per your liking. Optional wall mounting – If you love the idea of having a wall-mounted bike rack in your garage, then you can suitably convert this stand into one by using its optional mounting kit. It has skid-free rubber guards at its curved base to keep your floor from getting scratches. It has independent adjustment arms for two-level bike storage. The body of the stand is made of steel with black epoxy finish. It measures 26L x 19W x 79H inches. Its shipping weight could be approximately 21.2 pounds. It can bear up to 100 lbs of bike weight. Racor met with immediate success after launching their SR-2 Ski Rack in 1985. For the past 25 years they are constantly developing the storage options to make their bike stands fit your interiors better. Where Can You Buy Racor Bike Racks? This bike stand is manufactured and available only in USA. However, it is also shipped to selected countries of China and Europe. You can even order it directly at several online shopping websites like Amazon.com. Although, be sure to check out the specifications of the product before you purchase it. If you wish to place a shipping order, then the Racor bike rack may be delivered separately from other items in your order without any additional shipping charges. However, for individual orders shipping rates might be applicable. What Is The Right Price For It? The listed price for this bike stand is $90+ but depending on your mode of order, you can save up to 50% and get the product for just *price. 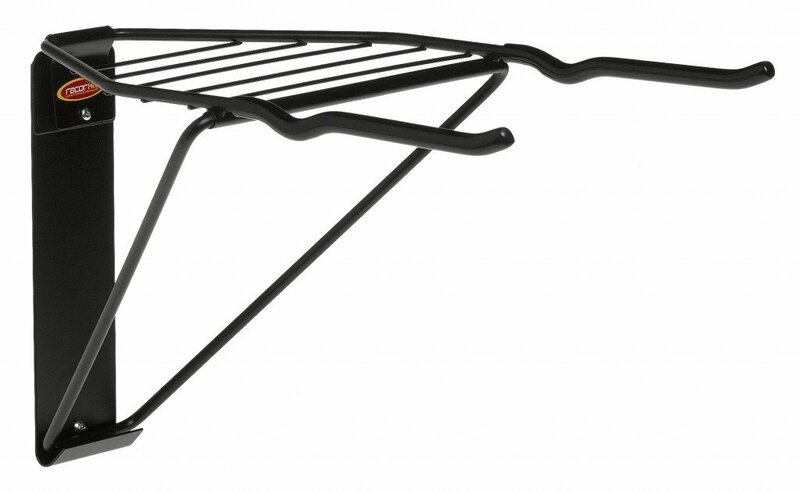 As it’s considered to be one of the best bike racks currently available, it’s worth the $90. There have been no hard-hitting negative bike rack reviews about this two-bike freestanding stand except for the need of its proper wall anchoring during installation. 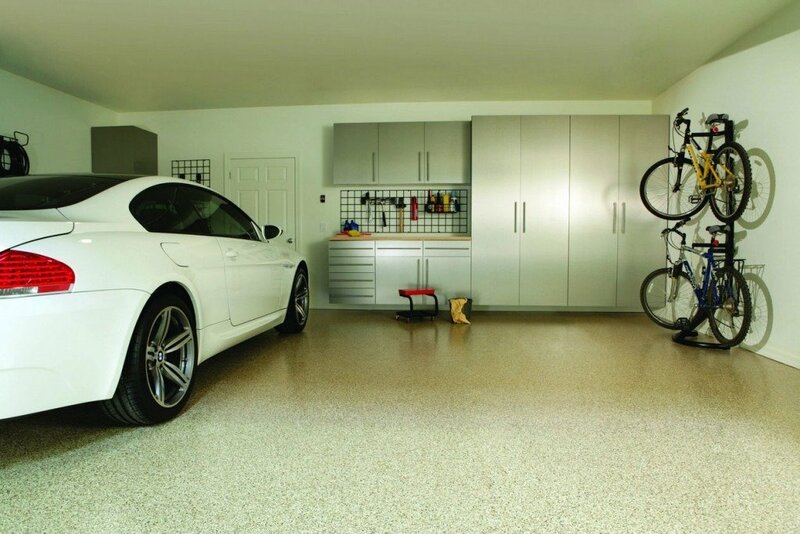 Placed against the wall, it is the best option for reclaiming valuable floor space in your garage or home. It is quick to assemble, easily re-positioned and supports your bikes safely. The Racor 100-PSB2R is a double folding bike rack that can accommodate two bikes at a time weighing not more that 100 lbs (50 lbs per bike).